Attleborough Upholstery design and manufacturer of high quality upholstered furniture. Our fine furniture is designed and made to order at our premises in Attleborough, Norfolk, UK. Our innovative designers and craftsmen are dedicated to ensuring your leather or fabric upholstered furniture is of the highest possible standard of both expertise and materials. 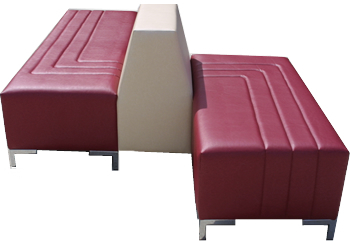 We offer standard ranges of furniture upholstered to your style and bespoke custom made furniture. You simply choose the upholstery fabric, leather or faux leather of your choice from our extensive range for the final finish. With stylish modern and contemporary designs through to classic and traditional styles, in either fabric or leather, our unique products are tailored specifically to cater for all tastes. Your furniture is crafted and made to order then delivered directly to you, our customer. We also specialise in the design and manufacture of bespoke furniture and bespoke upholstered items in a variety of materials, fabrics, leather and faux leather. Our high quality furniture is created from conception through to fruition with the aid of either your own ideas or utilising the experience of our in-house designers to create specifications for your consideration, approval and ultimate build and delivery. With an extensive range of coloured and patterned fabrics and leather, we can offer an almost endless scope for upholstered furniture that is suited perfectly to your personal style . We put our customers needs first. At Attleborough Upholstery we pride ourselves with our customer focused service ensuring reliability and a high level of customer satisfaction.